Your smile is about more than just looks. According to a recent study by the American Academy of Cosmetic Dentistry, a healthy and attractive smile makes you appear more intelligent, successful, friendly and interesting. At Stewart & Hull Aesthetic Dentistry in Comstock Park, our restorative and cosmetic dentistry patients have experienced this phenomenon firsthand. 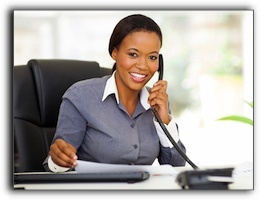 They not only feel great about their looks, they are more confident in professional and social situations. At Stewart & Hull Aesthetic & General Dentistry, we provide premium cosmetic dentistry for patients in the Belmont, Comstock Park, Grand Rapids, Rockford, Sparta and Walker area. We develop a custom treatment plan for each one. 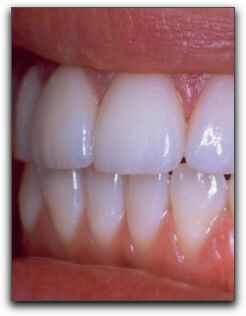 Some have lived with misaligned or crooked teeth for years. Others have been self-conscious about missing or stained teeth. With cosmetic dentistry, there are treatments for every kind of aesthetic issue. If you are not familiar with the latest teeth whitening, straightening, and tooth replacement procedures, it’s a good time to find out. Visit our smile gallery! Visit Stewart & Hull Aesthetic & General Dentistry in Comstock Park for a complimentary consultation, and find out what cosmetic dentistry can do for you. 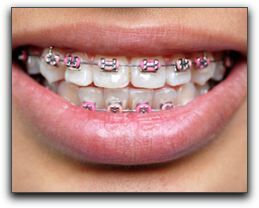 Many adults want to look younger by straightening their teeth but having a mouthful of noticeable teenager-style metal braces is not exactly what they had in mind. If you are not happy with your misaligned teeth, you may be interested to hear about the discrete straightening methods now available for people of all ages. At Stewart & Hull Aesthetic & General Dentistry, we offer custom invisible braces that are worn over teeth. Your busy lifestyle will not be hampered because invisible braces are so easy and convenient. The comfortable aligners allow you to eat anything you want and caring for your teeth will not become cumbersome. Modern orthodontia and cosmetic dentistry truly work miracles to create younger, more vibrant smiles. If you have delayed orthodontic treatment because of the perceived inconvenience and appearance of traditional metal braces, we hope today’s post has provided critical specifics that will help you make an informed decision. Our friendly and thorough team has been creating beautiful smiles since 1974. If your teeth have issues in addition to misalignment, schedule a consultation to learn about veneers, dental implants, white fillings, gum contouring, and teeth whitening. Some of the most popular treatments at Stewart & Hull Aesthetic & General Dentistry include implant dentistry, restorative dentistry, and porcelain veneers. Whatever your dental needs are, we will create a personalized, custom treatment strategy for you. If your teeth aren’t as straight as you’d like, the good news is that you have options that have nothing to do with a mouth full of metal wires and brackets. Enter Invisalign. The name Invisalign is an apt description of what this technologically advanced system does: align teeth invisibly. With Invisalign, patients receive custom plastic aligners that fit snugly over the teeth. Every couple of weeks, as the teeth move, the patient changes the aligners. Patients appreciate the fact that Invisalign trays are barely noticeable and they don’t restrict a normal diet. It is also beneficial that they are easy to keep clean. If you have an event or need to be photographed, you can remove the aligners for short periods of time, but still continue with your treatment. It is important, however, that you commit to wearing the aligners every day for at least 22 hours if your treatment is going to be successful. At Stewart and Hull Aesthetic and General Dentistry, we are zealous about first rate dental care including comprehensive restorative and cosmetic dentistry. In addition to Invisalign, ask us about porcelain veneers and dental implants. Whether you need an exam and cleaning or a complete smile transformation, we look forward to serving you. If you are considering having your teeth corrected, this post is for you. 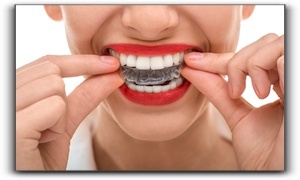 Today’s article provides specifics Invisalign orthodontics. If you have been paying attention to the orthodontic scene in recent years in the Comstock Park area, you probably know about Invisalign orthodontics and Six Month Smiles. These new teeth straightening procedures are offered in our office and have been welcomed by many adults in the Rockford MI area who want an alternative to traditional metal braces. There’s more good news for people in the Grand Rapids area who want to straighten their teeth. Porcelain veneers offer a beautiful straight smile in as little as two to three visits to Stewart & Hull! The key to achieving a celebrity smile may be porcelain veneers for your teeth from our Comstock Park dental office. Dr. Stewart and Dr. Hull can help you determine if porcelain veneer dentistry is for you. Ongoing education is essential for dentists providing elite cosmetic dentistry. They work to continually refine their artistry and provide the latest procedures and materials using only highly educated, quality labs for their cosmetic and orthodontic clients. We can provide these services for you. In addition to correcting tooth alignment, porcelain veneers are used to whiten teeth and restore chipped teeth in the Comstock Park and Rockford MI area. Porcelain veneers are attached to the front of teeth, require minimal tooth preparation and are more attractive than most natural teeth! For an instant orthodontic consultation, call Stewart & Hull at 616-827-7019. Porcelain veneers may be the best way for you to receive a smile makeover.